Naive Brush Strokes Dish . 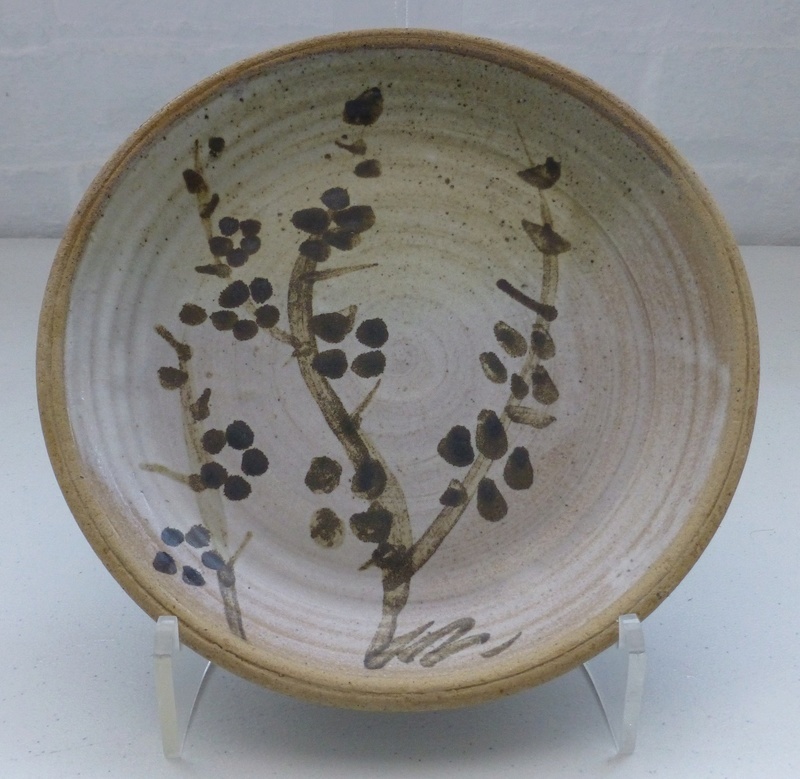 PM mark - Gerry Harvey, Mead Pottery ? Does anyone have an idea who this could be? it is rather basic... and i kinda like that about it..
Unfortunatley the way oit has been thrown a line disfures some of the mark but I think it's PM.. ? Re: Naive Brush Strokes Dish . PM mark - Gerry Harvey, Mead Pottery ? 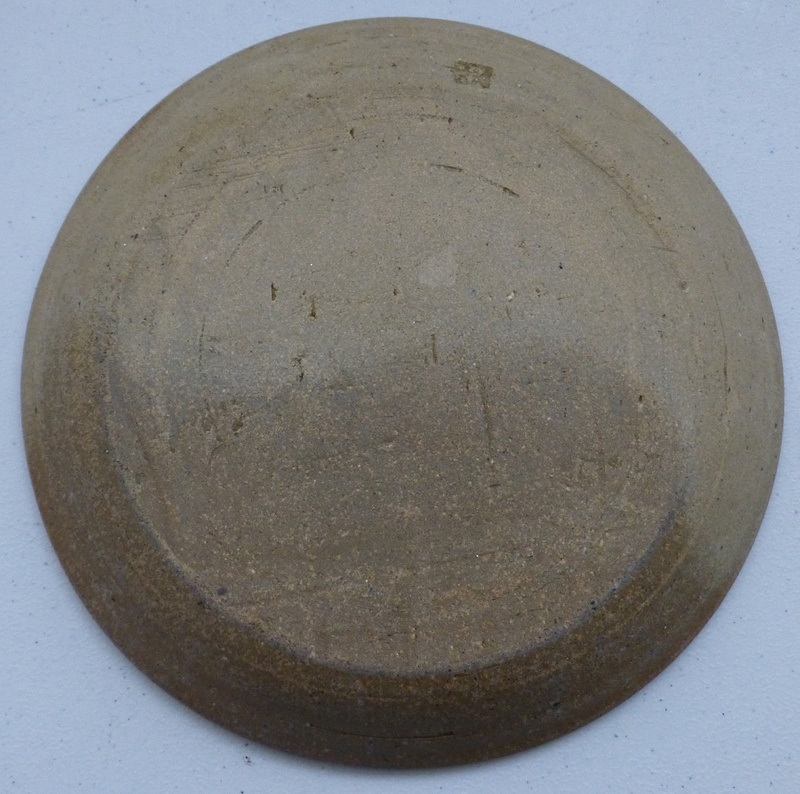 Think I may have found the mark - Could it be Mead Pottery (Gerry Harvey) ? It looks the right age and type of work. 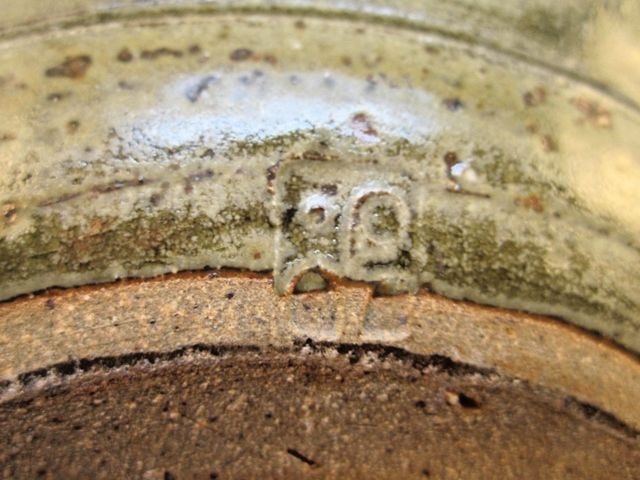 Is there a dot to the left of the top of the P on your piece or is that just the clay? Then I think it's more than likely Mead Pottery. I don't know anything about Naomi's suggestion but to me this looks earlier than the example by Peter Mossop on Naomi's Pinterest board. However, if you are based on the Scottish borders I could change my mind, as the marks look very similar. 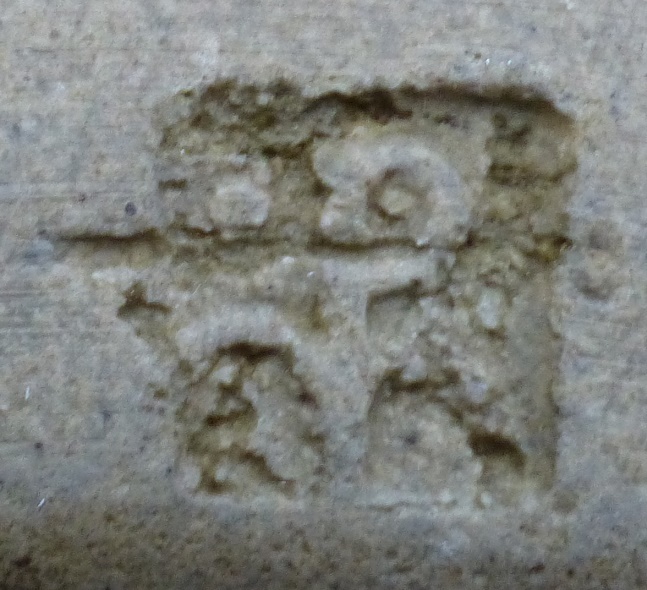 The example in my board still has a question mark against it, and alternatively might be by Hatherleigh Pottery. It does look like the same mark. the Ms are rounded and droopy. That one is by Peter Mossop. I’ve just added the attribution. No it's not the same mark, that's settled, but I can see 4 spurious dots in the top pic.